Politicians need to be held to account for making decisions based on what's politically correct instead of what is best to protect the public. Fox News reports the New Jersey mosque that New York City terror suspect Sayfullo Saipov reportedly attended has been under surveillance by the New York Police Department since 2005, according to a published report. The Omar Mosque in Paterson, N.J., located near Saipov's home, is among multiple Muslim houses of worship in the New York metro area being studied by the NYPD as possible locations for “budding terrorist conspiracies,” NorthJersey.com reported. 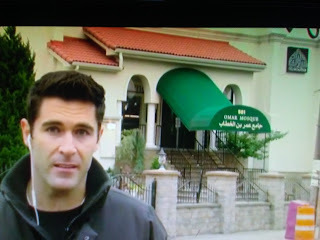 An NYPD report from 2006 doesn't link any criminal activity to the mosque, but says it "is believed to have been the subject of federal investigations." In the wake of Tuesday's deadly truck attack in Lower Manhattan, police and the FBI swarmed areas in New Jersey to which Saipov was believed to have ties. They included the mosque, an apartment building, and other residences and storefronts.